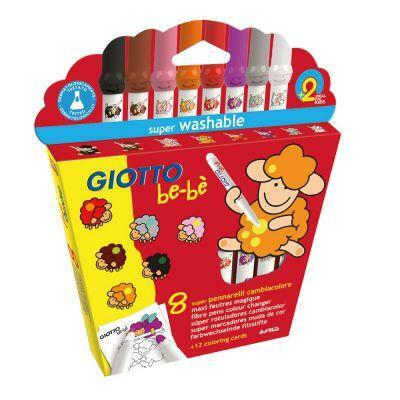 Giotto Be-be Colour Change Felt Tips are filled with magic ink that can change colour. 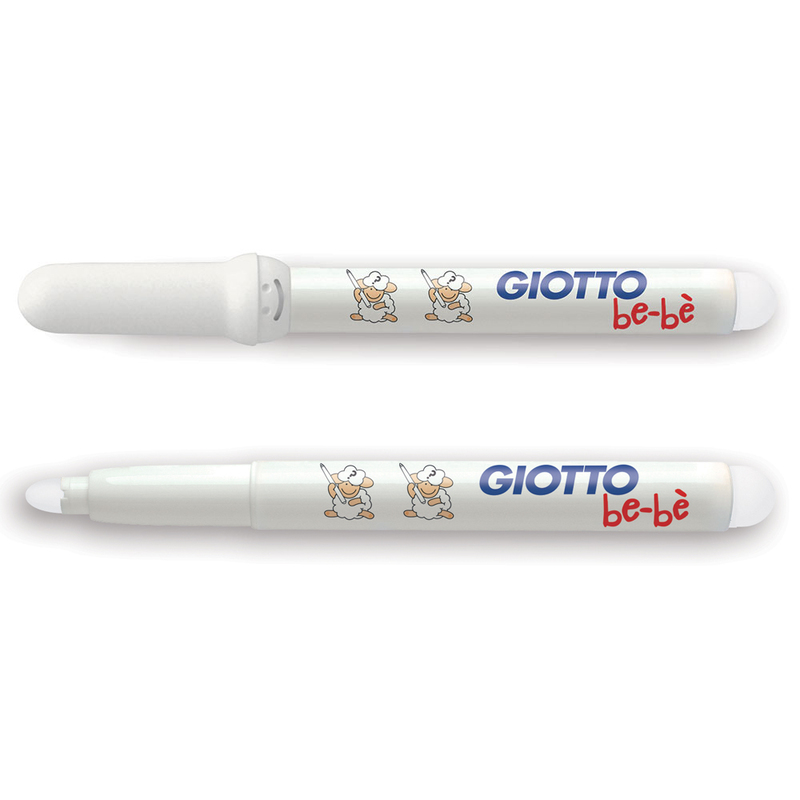 These markers are ideal for young children looking to make their first foray into art. They are super washable from both hands and fabrics making them ideal for even the littlest of artists. Outstanding protection thanks to the choke-proof ventilated safety cap and super-resistant non-retractable tips, perfect for your adventurous little artist! The set contains 7 super markers and 1 colour change marker, as well as 12 colouring cards to colour.